The wait for the delayed reverse monsoon seems to be over. At least that's what I see. Am I imagining a "loop " of low in the Bay ? ( streamline map). A easterly wave approaching the eastern coast (T.N.region), is seen as breaking the dryness, and precipitating rains along the T.N. coast and A.P. coastal regions. According to the COLA forecasts, the rainfall may start along the T.N. coast from Wednessday. Chennai too can expect some rain to commence from Wednessday, with increasing intensity daily, till saturday at least. 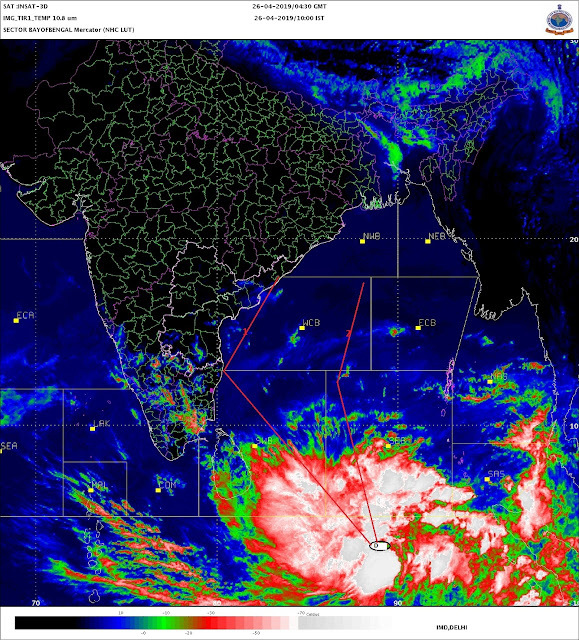 from Thursday onwards, the rains are seen penetrating inland into the interiors of T.N. and into Karnataka. Additional information from Albany Roundy ! A cyclone is seen by this model in the bay from the 4th. of November. It will be peaking around the 10th. and crossing the North T.N./ A.P. coast around that date. But, this is their estimate as per the conditions today. And the estimate as of now. Situations normally change, and sometimes change a lot, as we review day by day.